Spreaders can be used in every season! From spreading grass seed, fertilizer, lime, or salt, we have the spreader that’s right for you! Prizelawn offers a wide variety for homeowner to professional use. 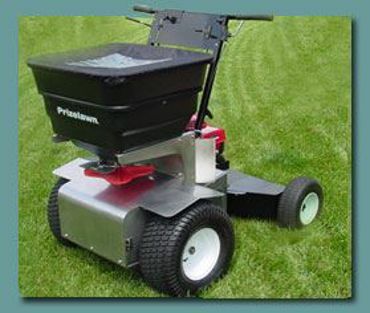 The smallest belly grinder spreaders are perfect for spreading grass seed in small amounts, broadcast spreaders are great for spreading seed, or fertilizer and can be used with an optional side deflector to avoid application in flower beds, etc. Drop spreaders are perfect when you want the material to be simply dropped on the ground limit the distribution of the material to specific areas. High Volume Output spreaders are for salt and material with a larger surface. 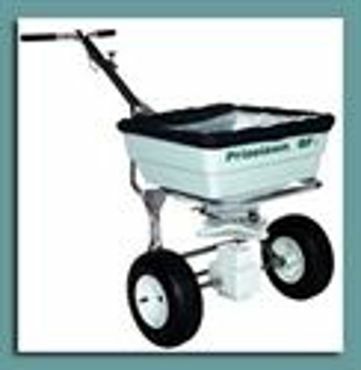 Consider a spreader with a stainless steel base when using corrosive materials like fertilizer or salt and always be sure to clean the spreader thoroughly and let it dry well before storage to insure a long life for the unit. Sprayers are used in a variety of applications. 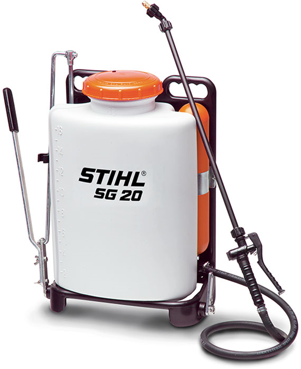 You can find homeowner or professional use sprayers that are backpack style, or up to 500 gallon units that fit in the bed of a pick-up truck, or mount on a trailer. Sprayers can be used to simply apply water, or chemicals. We also sell chapps for use with sprayers! Chemical spray chaps are a must when applying chemicals to protect your skin! To shop for and purchase our parts & equipment online, click a category below to see all items available in that category at Do Cut's Power Equipment Warehouse. Copyright © 2019 Do-Cut Sales and Service. All rights reserved.